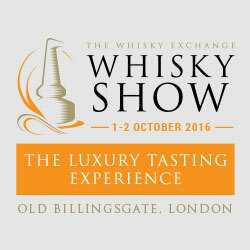 First year in the new (bigger) venue and TWE Whisky Show 2015 was a big success. Over a thousand people each day and it didn’t feel crowded at all. Also, while the Vinopolis venue felt a bit like one of those nightmares where you’re lost and confused in a maze of tunnels and suddenly find yourself back where you started or unable to find the exit, the new venue is mercifully two dimensional. Large and flat, the masterclasses and lunch the only things up the stairs. Here’s a really cool thing – on the way out there were a big pile of bottles of mineral water to take you home. They made my life immeasurably better on both Saturday and Monday night. Clynelish Single Malts of Scotland – n: light, sweet, oily, vegetal, delicious. b: spicy and rich, dust and cereal but a bit hot. * Ledaig Show bottling (retro label) 9 years old – n: Complex and aged, lightly herbal. b: Spicily peated, bright and sour, big cereal and very well balanced. * Bruichladdich Masterpeices – n: Beautiful ripe nose, very sweet. b: Incredibly ripe and sweet, very good. Perhaps too sweet? Big one though. * Compass Box Oak Cross – n: beautiful fruit and wax. b: rich and supple, delicious. * Signatory Glenrothes 17 year old cask 15957 – Dusty and ripe, old beyond its years, lovely. Smells like being at Edrington. Signatory Balmenach 1988 26yo – Sweet, dusty, quite spicy, but an amazing nose. Signatory Bowmore 40 years old – Deep, dark, blue cheese, tannic red wine, very very long finish. Arran TWE exclusive – n: Musky and overripe. b: Too sweet, spicy, cloying, chilli heat. Arran Port Cask finish – balanced, satisfying, good spice, lovely. * Wemyss Applewood bake (1988 Invergordon) – Beautifully sweet nose, lovely apple wood, hauntingly balanced and totally wonderful. Bought a bottle of this. Wemyss Cherry and Lemon treat (1995 Glen Grant) – Clean and sweet, very professional. Sweet tannins in good balance, subtle wax on the nose. Wemyss Afternoon Tea on the Terrace (1992 Linkwood) – n: herbal, toffee. b: sulphured goodness, quite ordinary though. * Wemyss Blowing on a Sea Breeze (1990 Bunnahabhain) – n: Clean, malty, musky. b: Great dusky fruit, salting and refreshing. Drying. Wemyss Sea Swept Barnacle (1987 Bunnhabhain) – Lovely sherry nose, lacking something in the delivery. * Springbank 21 year old, 1980s bottling (dream dram) – Speaking to a director of Soho House he was saying they used to have these piled high for £80 back in the 80s – sold them off cheap when needed. n: Sweet, dark sherry nose, very elegant and balanced. Complex stewed fruit and sealing wax, WD40 and fresh carrots. b: Incredibly soft wax and bright old wood, fresh raspberry leaf. f: Very, very long, almost ancient Islay dust, gentle tannins, cocoa powder and DME (dried malt extract) – epic. Laphroaig 10 year old (current version) – n: Clean, coastal, refreshers, sweetshop. b: Light, burnt toast. f: Short, bitter, but good stuff. * Laphroaig 10 year old, bottled in the late 70s – this would just be the small stills as the big stills went in in the early 70s (the 2015 Cairdeas is just the small stills). No idea about wood as Laphroaig didn’t have a wood policy until the 80s. Current 10 year old is about 3x as peated as this 70s version, and as Laphraoig made plain whisky (unpeated) until the late 60s, this could also have been let down with some unpeated whisky. n: Deep sweet sherry, still very light and clean. Deodorant. b: Sweet and leathery, chocolate and prunes. f: Creamy and fizzing, delicious, quite long tobacco. This is significantly better than the new 10 year old – it’s like an old Islay with the alien, dusty thing going on. I’ve always assumed that was what happened when the peat wore down after 25-30 years in wood. Maybe they just made them like that back then, or maybe it wears down like that in glass too? * Laphroaig 15 year old anniversary edition. Whisky in here is apparently generally between 18 and 21 years old, with some refills in the older casks. n: beautifully floral and sweetly bright, quite harsh cereal compared to the old 10yo. b: Sweet with cigar tobacco, menthol fags and big tannins. Still delicious (reviewed before here). * Laphroaig 30 year old. n: Deeply fruity and waxy, swarthy men’s cologne and sea water. Refreshers and tobacco. b: Ripe, stewed apple and stewed prunes. f: Long, tannic, winey, prunes and refreshers. Delicious. * Laphroaig 32 year old. Contents are 40% 32yo refill oloroso, 10% 35yo first fill oloroso, 50% 34yo bourbon hogsheads. All European oak. n: toast with dripping and bananas. Sweet but drying. b: Intense, dusty but strident and very Laphroaig. f: Long, very sweet, deliciously fruity. Perfect restrained sherry. Like being a teenager again. Berry Bros and Rudd Caperdonic 1995 #95076 – n: Rope, warm and balanced. b: Rich cereal, quite a lot of spice. Too hot at the end. TBWC Lagavulin – n: Bright and sweet. b: Delicious dusty cereal, fizzers. Very good. Overpriced though. TBWC Paul John – Coffee, bitter, plasticky, cloying brown sugar and clove. Not great. * TBWC Ardbeg Batch 6 - n: Alien sweets, white wine and musk. b: Extra strong mints and deep cask toffee, excellent. G&M Speymalt – Macallan 2006 – sweet cereal but not unbalanced. G&M Strathisla 1965 – n: Beautifully deep and perfect sherry, epic wax. b: Dark, mid rangey, toast and bright tannins. Shortish finish but very good. G&M Glen Grant 1954 – (just a quick toot on Darren’s dram) – n: imperial leather b: stoney, red fruit. * 16yo (Caol Ila) – Beautifully rich, calm, waxy nose. Delicious, clean finish. 19yo – Sharper, harsh good funky nose. Bright. * 30yo – n: Extremely lovely, wonderful cask. b: Complex, glorious, but quite hard. * Balvenie 12 year old single barrel cask 5851 – n: Ripe and cask led, honeyed. Light and lovely. b: Slightly austere, but balanced. Slightly sharp too. f: A little hot? Good though. * Balvenie 25 year old single barrel cask 6999 – n: More sweetly oaked, honey, beautiful cask. b: Beautifully floral and well structured, lovely wood. Balvenie 15 year old single barrel sherry – n: Overripe but slightly sharp. b: Spicy, fruity and wood sour, quite chilli hot too. * Balvenie 30 years old – n: Deeply honey toffee, beautiful structure. Waxy and tropical, intensely perfumed. b: Incredibly sweet with a toffee, honey and lilly backing. f: Incredibly balanced, wonderful structure, very long. Grants Ghosted Reserve 26 yo – Ladyburn and Inverleven. – why? Apparently because they just have so much old stuff hanging around at Grants they need to get rid of it in oddball blends like this. Apparently there will be more of this kind of thing in future. n: Sweet but restrained, drying wood, breezy and floral. b: Quite dry, orchard fruit. Restrained spice and toffee. f: Lovely, deeply sweet toffee and balanced spice. Lots of barley at the end. * English Whisky Triple Distilled – beautifully sweet, balanced fruit; delicious. * English Whisky Chapter 14 – n: sweetly structured, liquorice imps. b: Quite spicy, lovely character (integrated structure). A good “ordinary” whisky. * English Whisky “For TWE”, approx 7yo. n: orchard fruit, austere, some spice. b: Fruit, toffee, lots of lovely malt in the delivery. Delicious, loads of structure. Can’t see this on the site, I think it’s not released yet but potentially sold out at the show. Show bottling, Irish Whisky, retro label 22 year old. Tastes like it might be lightly peated double distilled Bushmills, apparently. Lovely nose, good structure and sweet sulphur. £160 though. Rosebank True Love – this is the first in a series of seven - all in bottle now and each is a separate recipe of combinations of various bourbon and madeira casks. 700 bottles of each (so quite a lot of casks). n: Sweet and minty. Lovely. b: Bright, sharp, cidery almost. Great depth, complexity. Very long finish, liquorice. * Douglas Laing OP Invergordon 25yo –Another totally unmissable Invergordon at the show, thanks Phil for pointing it out. Sweet, lovely, hard candy, beautifully restrained. b: Ripe, friendly, creamy and delicious. Beautiful. f: Medium, cheap vanilla ice cream. Excellent stuff. Douglas Laing OP Miltonduff 2005 – Incredibly murky this one! Like milky sherry spirit. Fruity, really gentle – delicious. * Douglas Laing OP Auchentoshan 14 years old – n: Beautiful, elegant, floral, deeply malty. b: Softly sweet, epic but restrained. Bought a bottle of this – good Auchentoshans are a thing of great beauty. * Douglas Laing OP Allt-a-Bhainne 15 year old – Tokaji wine cask, I love Tokaji and sweet wine, and this has such a beautiful colour. We were warned about some people being susceptible to a particular type of bitterness which spoiled this whisky for them. I apparently am not. n – Boiled wine, rusty intensity. I am surprised how much red wine is in here rather than sweet wine, it’s really taken on the darker side of the Tokaji character. b: Stews, carrots, very red wine. Very dry but delicious. BBR 1987 Bunnahabhain Cask 2451 – n: Sweet, dark raisins, honey cask, epic. b: Initial delivery is beautiful but then falls short. Oddly peated, short finish. BBR North British Cask 224766 – sherry cask, weird but interesting. n: Lightly sherried, deep colour. b: Simple, overripe fruit, weirdly deep sweetness. Oddly lacking but interesting. Old sold out long ago anyway. * BBR Laphroaig 1997 – n: Sweet light peat and peas (? my handwriting is a bit stuffed at this point). b: Perfect Laphroaig delivery, sweet fruit, toffee, sweet and bright. Lovely stuff. And these other things were good too. Next year I’m doing the whole thing, what a great event! Thanks. Ben. I appreciate the wrote up.